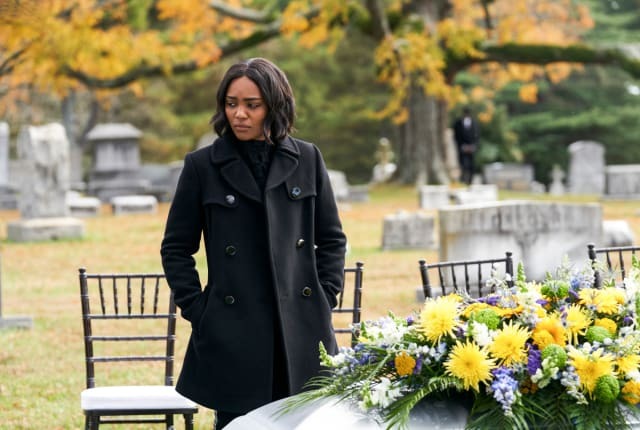 Watch Black Lightning Season 2 Episode 12 online via TV Fanatic with over 1 options to watch the Black Lightning S2E12 full episode. Affiliates with free and paid streaming include Amazon. On Black Lightning Season 2 Episode 12 Jen wants revenge and bloodshed on the latest episode, "The Book of Secrets: Chapter Two: Just and Unjust." Lynn: Why are you having me followed? Are you following my whole family? My research team? Odell: And here I thought you were happy to be alive and came here to thank me for saving your life. Lynn: I do thank you. Lynn: She’s fine. They didn’t shoot her. She fainted, so it looked like she did. Odell: Fortunate. Dr. Stewart, you have been invaluable to the pod kids, but you’re still not being honest with me ... and I don’t have time for it. Permalink: And here I thought you were happy to be alive and came here to thank me for saving your life. Anissa: She wants time to be alone. Lynn: Alone is good until it’s not good. Isolation feeds depression and addiction. I feel she needs her family right now. Anissa: You and Dad always think you know what’s best for us. What if it’s not true? What if ... every once in a while we know what’s best for us? Lynn: Anissa! Oh my God! Permalink: What if ... every once in a while we know what’s best for us?